Combining two aliens, a tree, a talking raccoon, and a man sounds like a recipe for a bad joke. To be completely honest, that is exactly what I thought Guardians of the Galaxy would be—a likable and well-executed joke. “It’s a Marvel movie, so it can’t be that bad,” I said to myself, expecting a box office disaster all the while. The results are now in, and I was wrong. Guardians had a huge opening weekend ( $94 million); and, much to my surprise, I really enjoyed the film. It is the ultimate summer blockbuster and one of the best Marvel movies to date. That being said, this post will be a little different than my usual fare. First, I want to provide a few bullet point thoughts about why this movie is so much fun. Then, for something a little more serious, I’ll focus on the team of guardians themselves and attempt to show what sets them apart from other comic book superheroes. Pop Culture references. Kevin Bacon, Indiana Jones, Star Wars, the MacGuffin, and The Giving Tree are just a few that I can think of off the top of my head. Oh, and if you stay until the credits are over (which you should always do in a Marvel movie), you just might get a glimpse of … I won’t ruin it for you. The soundtrack. Aside from being a tremendous amount of fun, the hits from the ’70s and ‘80s remind us that, unlike the majority of characters in the film, protagonist Peter Quill (Chris Pratt)—who goes by the name Star-Lord—is an earthling. The soundtrack also provides seasoned (i.e. older) audience members with something familiar, which is important when you’re dealing with an ostensibly campy movie about a talking raccoon and tree. Genre blending. 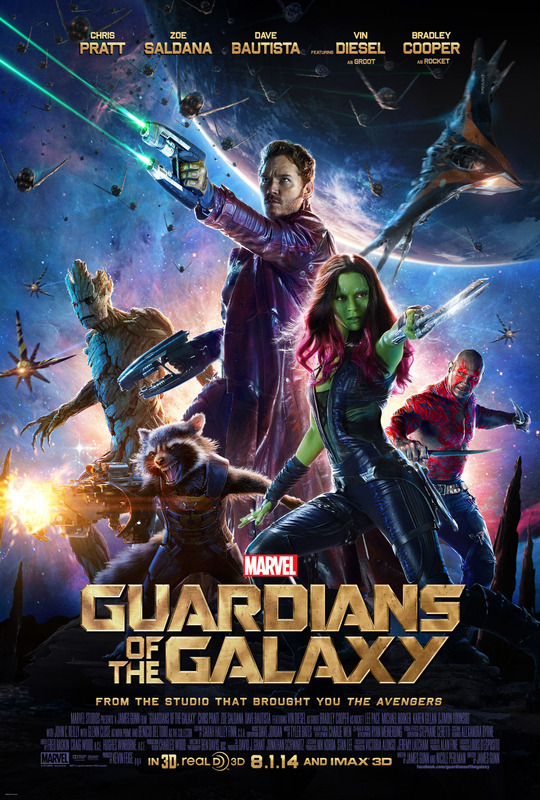 Comedy, action, romance, and heart-warming moments: Guardians has it all, deftly blended and served in perfectly portioned bites. The thinking audience. Guardians spends very little time explaining its intergalactic politics to the audience, and it is all the better movie as a result. Instead of giving us a five-minute monologue or title card sequence explaining the backstory, the filmmakers assume that their audience can connect point A to point B. That’s a rare thing nowadays. In addition to all of these really fun aspects, Guardians of the Galaxy invites more thoughtful consideration by giving us a group of unconventional heroes. Impolite, unpolished, and socially challenged, these guardians are like the mischievous stepchildren of Steve Rogers, the straight-laced Captain America. They are, in fact, antiheroes. Why, then, do we cheer for them, stand alongside them, and sympathize with them? The answer, in part, is that in our broken, fallen, and sin-stained world, our heroes often have more in common with the Guardians of the Galaxy than they do with Captain America (I like the Captain America movies, by the way). We all love a hero we can put on a pedestal and admire without fear, knowing that he or she will always do the right thing, will always save the world. That’s one reason Superman has endured for over 75 years. But in reality, heroes are often flawed and depraved and not near-perfect pictures of Christ. After all, any good that human heroes are able to do is solely because of God’s common grace in spite of human sinfulness. In this respect, Guardians gives us some of the most lifelike heroes we’ve ever seen. So, if you’re going to see Guardians of the Galaxy, have fun, look for the Pop Culture references, and enjoy the soundtrack. Then, think about this strange group of heroes. You can leave the theater comforted by the fact that the sovereign Lord—not Star-Lord—guards the universe. Reel Lists: Top 10 Why Oh Why Didn’t You Stop at One? We are continuing our thoughts on trilogies at Reel Thinking, by looking at films that should not have been made. As you can guess from the title, this list includes films that should have stopped with one. Most of the below mentioned films had excellent inaugural films, but horrific ensuing installments. As you know, Men In Black 3 is released today, therefore, some of you may think that franchise belongs on this list. Let us hear from you. If you missed the reasoning behind our look at trilogies, it is because the release of The Dark Knight Rises, which could prove to complete one of the best trilogies of cinema in recent years. This is our second part of our three-part series on trilogies (see what we did there?). Our Top 10 Trilogies can be found here and here. Our next list will be the Top 10 films that should have a trilogy/sequel, entitled: Why Oh Why Didn’t You Make a Sequel? Hope you enjoy. Yesterday we looked at John & Josh Kwasny’s top 10 trilogies, and today we will see the sequel of that list by Emilio and John. This list was inspired by the recent Batman franchise, which may prove to be one of the best movie trilogies in quite some time. Hope you enjoy our Reel Lists, please compose your own and share them with the readership at Reel Thinking. Can I consider Iron man 1, 2 and Avengers as a trilogy? Just did. Because The Dark Knight Rises could complete one of the best movie trilogies in quite some time, we wanted to compose a series of posts on trilogies which is a part of our Reel List series. We will have three different lists released – Top 10 Trilogies, Top 10 Why Oh Why Did You Make a Sequel?, and the Top 10 Why Oh Why Didn’t You Make a Sequel? Today we have Josh and John Kwasny’s Top 10 Trilogies and tomorrow we will have Emilio and John P’s list. Please let us know what trilogies you feel strongly about. 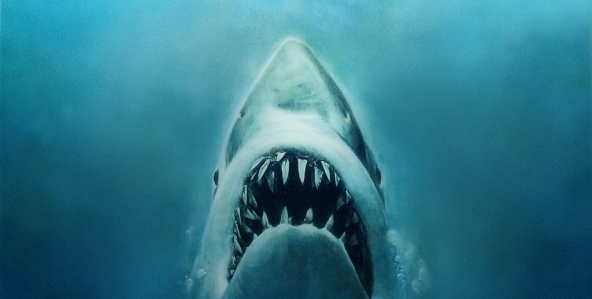 Imagine Jaws, Indiana Jones, or Star Wars without music. Those movies would easily have been less enjoyable were it not for the music. John Williams is the composer, to the previously mentioned films, and he makes the music a supporting actor. Music and movies go together like peanut butter and jelly, but why is that? We all know that music has been around for a while. Anthony Kiedis of The Red Hot Chili Peppers echos this when he sang, “Music the great communicator, use two sticks to make it in the nature.” People have been banging on trees, stomping feet, and humming tunes because of this innate notion of rhythm. When we think back to some of the earliest musicians, King David is one that comes to mind. Prior to his kingship, King Saul would request for David’s soothing melodies. Although Saul was tormented and miserable, there was something about a melody that put his spirit at ease. Something inside Saul resonated when it heard the gentle strumming of a harp. Thinking back to 1937’s Snow White and the Seven Dwarfs, the fist full-length animated cartoon (and according to AFI the #34 movie of all time), even the dwarfs knew there was something to music. Just whistle while you work…It won’t take long when there’s a song to help you set the pace…They knew a tune would pass the time and distract from the curse that has effected our work. Even Steve Job’s revelatory iPod, has taught us something about this rhythm in life. It is all-to-common to see people on the streets, ear buds in, strutting down the sidewalk. There is a soundtrack to life and you find that music often syncs up to the motion that’s around us. We know that God is a God of order and he has established a rhythm to life. Thinking back to creation, there is a constant pattern, or rhythm, to God’s creating the earth. At the creating of the seven days we hear the phrase; and it was morning and it was evening…and it was morning and it was evening…at the conclusion of each day. Panning out to the work week, we have another pattern repeated; six days work, one rest…six days work, one rest. There is a rhythm to the created order, because God does not ‘shoot from the hip’ so-to-speak. It’s interesting to think that God really doesn’t think or ponder each and every day, all things are known to him and he already has the end figured out. Many of us make plans and aim for goals, however, we then must figure out how to accomplish those goals and some of those goals my remain a dream. This is not so with God. God knew the end before the beginning and it will all fit into his ordered redemptive plan. Getting back to film, music is essential to a motion picture. I would argue that a film’s success is highly dependent on the musical score. As mentioned before, the musical score to Star Wars easily increased the audiences likability of the film. George Lucas even commented about John Williams’ score as the only aspect of the film that exceeded his expectations. He was constantly changing things and disappointed at various aspects of the film, but the music was perfect. Just picture the words Star Wars bursting on the screen with the musical score. Now picture those same words in silence…not the same. Music increases the intensity, often adds to the humor, makes something look cooler, and has the ability to make us jump out of our seats, when employed at the proper moment. Music simply assists in capturing the rhythm or tone of life and reveals the magnificent handiwork of the greatest Artist of all time. This post led me to compose a top 10 list – just call me David Letterman – of some of my favorite musical scores. Some of these films had strong scores and some of them just had familiar tunes, which is what assisted me in composing this. The most obvious difficulties of composing a top 10 list, is the plethora of choices you leave out. Therefore, let us hear from you and compose your own top 10 list. I would actually encourage you to compose your own prior to reading the below, but whatever. Please note that I am only listing musical scores and not musicals. Even though the Oscars for the 84th Annual Academy Awards have been handed out, there are still some lists to compile. These lists might not be nominees for an Oscar, but there are the beginning of a new series at Reel Thinking. Every now and then we are going to release our Top 10 lists entitled, Reel Lists (how many ways can we play off of the word reel?). The Academy and Golden Globes compose their lists, and the America’s Film Institute has their Top 100, but we are composing ours, however, ours will be somewhat unique. Yes, we will have the typical top 10 lists, but we will also have the not-so-typical, as well. Our first Reel List, which will be released on Thursday & Friday, will be a fairly normal list. We are going to look at the Top 10 Musical Scores of films. This year, the well-known composer, John Williams, became the second-most nominated person in the history of the Academy with 47 nominations. He is the most nominated living person (Walt Disney is the all-time most nominated with 59). All of this to say, for Williams to have 47 nominations, it tells us a great deal about music in movies. Music is vital to movies. We are going to take a more in-depth look at that tomorrow, but for now go ahead and take our poll. Be sure and check back tomorrow for some more thoughts on music and see our first Reel List.